I read Read, Write, Love by Addison Cole which is the first book in this series and absolutely loved it. So when I came across the opportunity to read Dreaming at Seaside, I could not resist. I met the four besties- Leanna, Bella, Jenna and Amy in the first book and fell in love with them. Each is as different from the other as night from day but still they are tied together with bonds of love, friendship and loyalty towards each other. After Leanna's happily-ever-after, I was eager to read the stories of the other three Summer girls and in this book, I got to delve into Bella's story. Bella is spunky, fiercely protective of the people she loves and a woman who combines the best of both sets of women, bold and shy, at the same time, easily. I instantly fell connected with her story and loved each second spent reading her journey to finding true love. Caden is another swoon worthy hero. I had thought no one could match Kurt from Read, Write, Love by Addison Cole but boy, was I wrong! He is a Police Officer and a hero of every woman's dreams. Everything in this book felt so real. The characters are people who felt like friends I was meeting again after a break and it was all so much fun witnessing their story progress and re-uniting with beloved characters from the previous book. Despite being part of a series, this is a standalone story so you dont need to go read the first one to understand this one though reading books part of a series in order is always the best thing to do. I laughed, cried, enjoyed the sun and sand with everyone in this book and absolutely loved the clean romance that though teases but there are no explicit intimate scenes and definitely no slang. The chemistry is intense and the emotional play heartfelt. 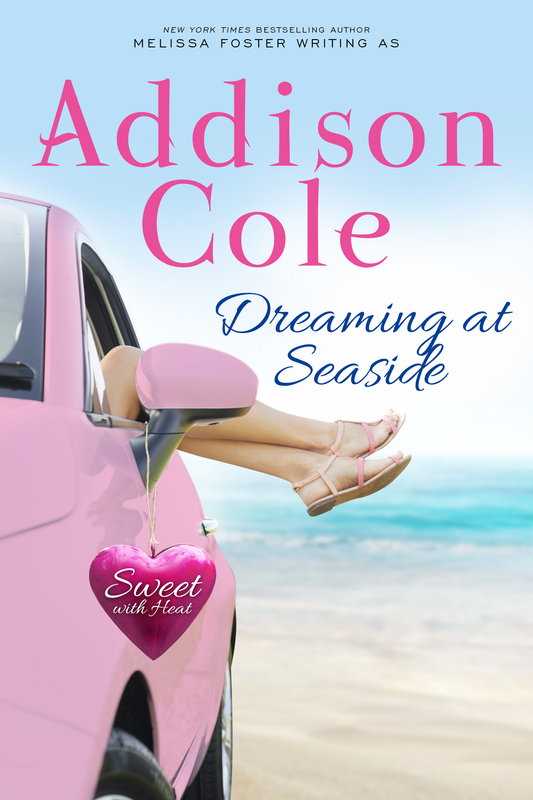 All in all, Dreaming at Seaside by Addison Cole is even better than the first book and that is saying something because I wholeheartedly LOVED the first book. Definitely a must read, I give Dreaming at Seaside 5 stars and recommend it all romance lovers. Addison Cole has made a place in my list of automatic 1-click authors and I look forward to reading lots more from her in the future.